The braided chainette construction of Juniper Moon Farm Neve gives your finished products additional stability. Chainette constructed yarns are light and airy while maintaining the original characteristics of the fiber blend they are created out of. 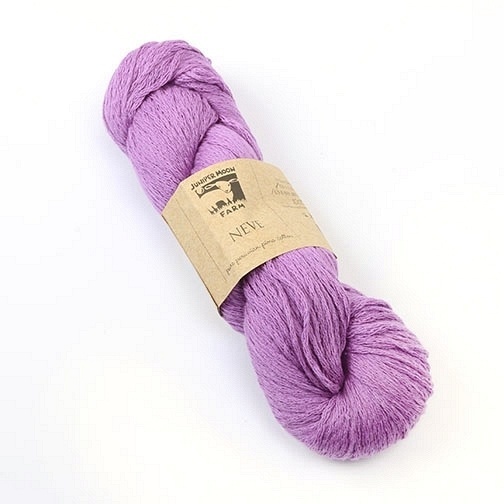 Neve is a worsted weight soft pima cotton yarn available in vibrant colors. We love how blankets, garments and accessories look and feel out of this machine washable cotton yarn.